eSports athletes representing Sri Lanka are set to take part in the 18th Asian Games which are to be held in Indonesia from 18th August to 2nd September 2018. 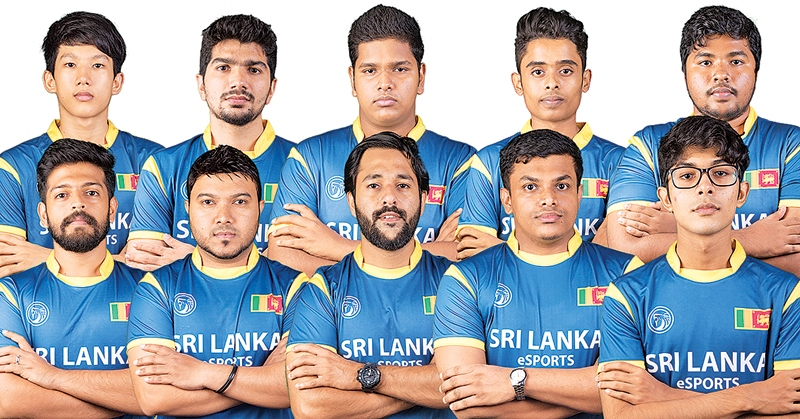 The Sri Lankan contingent, sponsored by Dialog Gaming, includes ten athletes who will be competing across five eSports titles in the South Asian qualifiers leading up to the main event. eSports has been introduced as a demonstration event for this year’s Asian Games by the organisers, the Olympic Council of Asia (OCA) following its recognition as a sports activity by the International Olympic Committee (IOC) last November. eSports will be a medal event at the 2022 Asian Games. The Asian Games is recognised by the IOC as the world’s second-largest multi-sport competition held every four years with the 18th Asian Games - hosted by the Indonesia Asian Games Organising Committee (INASGOC), set to feature 40 sports across 462 events and 45 participating nations. Sri Lanka’s eSports athletes taking part in the respective eSports titles are as follows: LEAGUE OF LEGENDS: Akthar Hafeez, Shalitha Chandrarathna, Ashik Saleeth, Achintha Konara, Hilal Jismy, Abith Latiff; HEARTHSTONE: Ramesh Uthayakumar; PRO EVOLUTION SOCCER (PES): Mufeed Miskin, Shihab Rizan; STARCRAFT 2: Amruth Alfred; and CLASH ROYALE: Joel Joung. Sri Lanka’s participation has been organised by the Sri Lanka eSports Association (SLeSA), the governing body for eSports in Sri Lanka consisting of 9 eSports organisations. SLeSA has worked closely with the National Olympic Committee of Sri Lanka and under the guidance of the Ministry of Sports, to nominate these athletes who will be making history by taking part in eSports at the 2018 Asian Games. The South Asian qualifiers are organised by the developer of each eSports title in partnership with the Asian Electronic Sports Federation (AeSF), the first of which will be the League of Legends qualifiers that will take place from the 9th to the 12th of June 2018 in Vietnam. Dialog Axiata PLC, Sri Lanka’s first connectivity provider to launch a mobile gaming platform, aims to empower the local pro-gaming community by powering cyber athletes to represent Sri Lanka in the Asian Games 2018. Recognizing the potential and growth for cyber athletes in the country, Dialog continues to spearhead eSports and support the community to challenge global gamers on international platforms.